This is their third vegan pizza offering and is also set to return in March. Pizza Hut has announced that their vegan Jack ‘n’ Ch**se pizza will become a permanent menu item as a response to having their vegan pizza sales exceed 10,000 during January. The Jack ‘n’ Ch**se pizza was launched in January 1 as a month-long limited edition offering in celebration of Veganuary. On the pizza chain’s Facebook page, they mentioned that the vegan pizza will return in March. “Following the overwhelmingly positive feedback and awards we’ve won for our initial vegan range in 2017, we’ve responded to demand with a third vegan Pizza. We’re confident the Jack ‘n’ Ch**se Pizza will be just as warmly received,” Kathryn Austin, director of HR and marketing at Pizza Hut Restaurants, said. 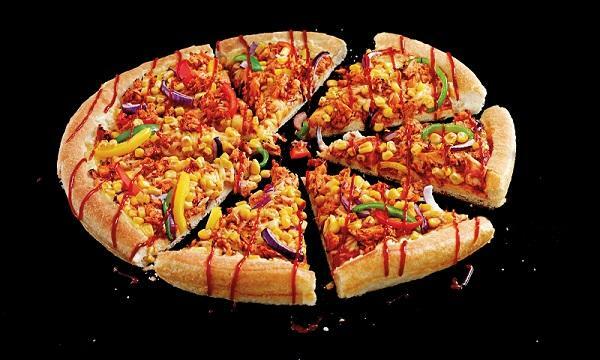 The new vegan pizza features a tomato base with Violife non-diary cheese alternative, sweetcorn, red onions, peppers and BBQ Jackfruit with a BBQ drizzle.